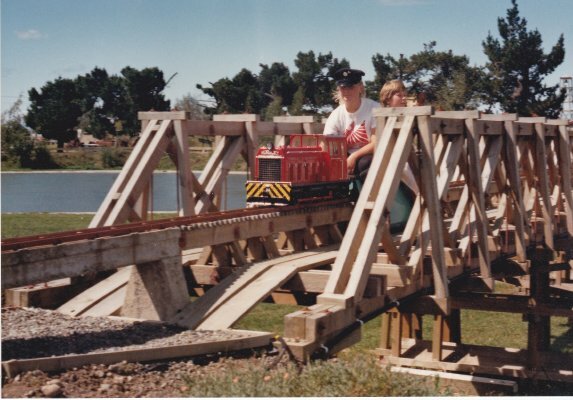 Description "Open Day Brayshaw Park, November 1985: Model train engine crossing flyover bridge at Brayshaw Park". This is in the Modellers area, opposite the Vintage Car Club building. This is a smaller photograph than the others. Part of the Brayshaw Park, Beavertown photographic inventory, taken by Roger Thwaites in 1985.